This is a theme pack which was inspired after Radiance Light-theme proposition. 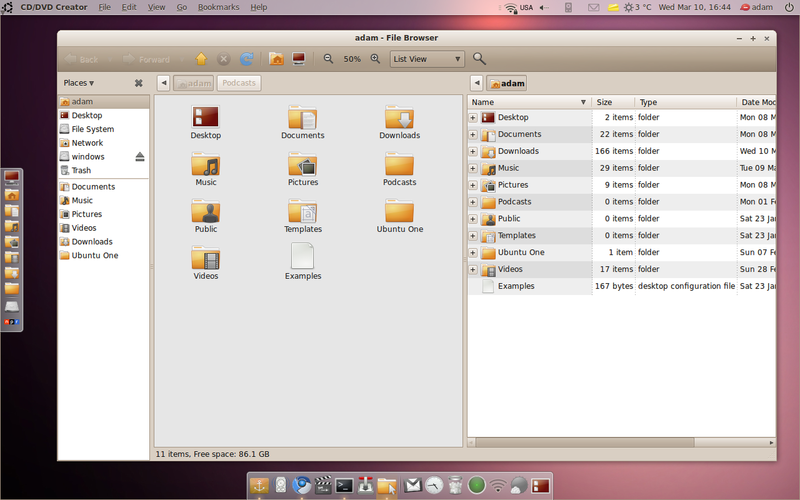 All the metacity and the gtk is available. Beatiful theme. I like it! Thanks for the tip. I hate the brown folder icons. I like Ambiance and Radiance even though a lot of people say it looks like Mac, but this definetly is Mac OSX I don’t want my Window Menues to be in the Gnome-Bar. Much nicer than what Canonical proposed last week. Not sure if want. If anyone wants to know what the dock is on the bottom, it’s docky. Give a Ubuntu/Linux newbie a hand here? Hey, great theme! Can anyone tell me what bars adam uses on the bottem and on the left (screenshot)? They seem handier than gnome-do! just add the PPA to your sources and install it, you won’t regret it, it’s part of all my Ubuntu builds since I tried it for the first time.